Those who have followed Spider-Man comics or animation for any length of time know about the alien symbiote that attached itself to Eddie Brock – a rival photographer to Peter Parker – and became the hulking, sawtoothed villain calling itself Venom. Well, now Marvel Studios and Sony Pictures have confirmed that they have found the actor who will become the iconic character, in the form of one Tom Hardy. The Oscar-nominated actor is reportedly in final negotiations for the role, and Zombieland director Ruben Fleischer has signed on to direct the project. Sony has stated that the project is a “top priority”, and production will begin this fall, with a release date already set at October 5, 2018. From what we here at PCU are seeing, it appears that the Venom film will continue a stream of several movies centering on the Spidey-verse, with this summer’s Spider-Man: Homecoming being the maiden voyage in this endeavor. According to several sources, the studio is also in the beginnings of developing a film about the characters of Silver Sable and Black Cat, as well as other characters who’ve appeared alongside and against our Friendly Neighborhood Web-Head. The script for the upcoming film was written by Gone In 60 Seconds’ Scott Rosenberg and The Amazing Spider-Man 2’s Jeff Pinker. 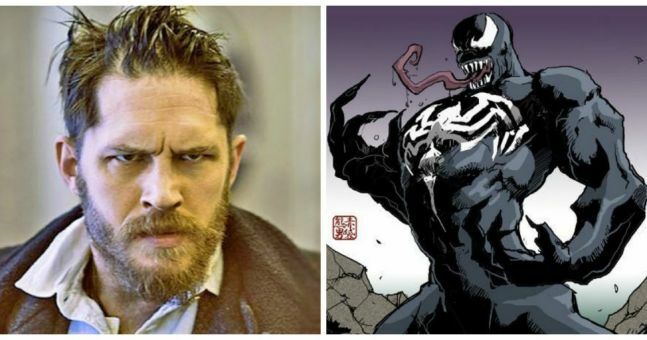 While the plot is being kept under wraps by the studio, we do know that Tom Hardy will actually be playing the Eddie Brock version of the character (Flash Thompson, Mack Gargan aka Scorpion and Lee Price have all been Venom at one point or another), so we may see some backstory about the Venom symbiote. It has also been confirmed that Avi Arad and Matt Tolmach will be producing the film, alongside Amy Pascal (who also produced Spider-Man: Homecoming). So, it looks like there are some Spidey aficionados already attached to the upcoming film, which fans can appreciate. For anyone who might not be familiar with the character, Venom is an alien symbiote that appears as a black goo. The creature needs a host to survive, and in return, will bestow on that host amazing physical powers (somewhat mirroring those of Spider-Man). Unfortunately, the symbiote also enhances the more negative aspects of its host’s psyche. In Eddie Brock’s case, he blames Spider-Man for ruining his livelihood, resulting in Spidey’s destruction becoming an all-consuming goal for Venom. With Venom having been one of the top villains of all time for Marvel since his debut in 1988 (that’s right, Venom is almost 30 years old), it seems that the only real slip-up for the character was the casting of Topher Grace in the role for 2007’s Sam Raimi helmed Spider-Man 3. Many fans disagreed with the choice of actor for that film on top of there being too many villains jammed into it to accurately develop any of them. 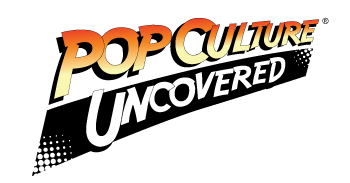 PCU will continue to follow any developments regarding the Venom movie, and we will bring that news to you, dear readers, as it comes out.